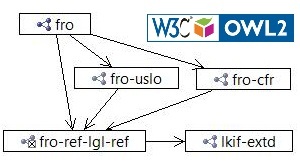 The Financial Regulation Ontologies (FRO) are an open source design published in Ontology Web Language (OWL). FRO is a foundational part of a Semantic Compliance® approach for financial institutions. Ontology Web Language (OWL) is a W3C standard with proven scalability, handling complexity in Bio and Medical field. In the ontology, everything is a triple: data, schema, mapping, transformations, rules, … everything is stored uniform cells of subject-predicate-object. 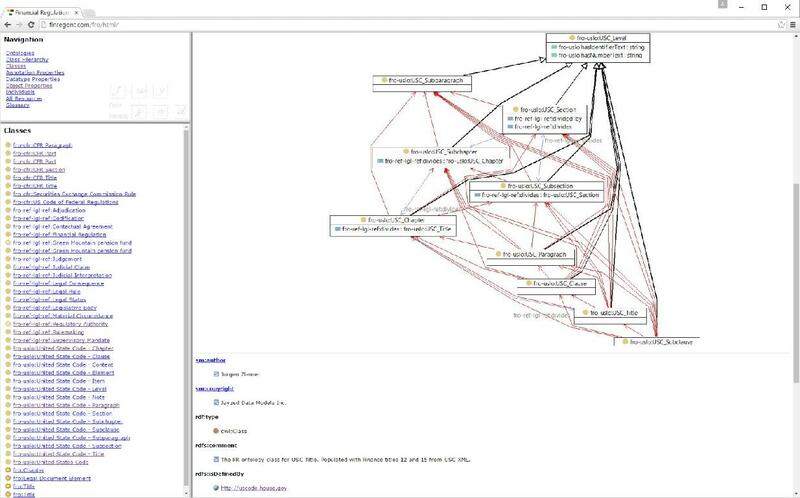 Latest update: The Financial Industry Business Data Model (FIB-DM) will have an Entity Relationship FRO package in Q3, 2019. FIBO Financial Industry Business Ontology for funds, clients, securities, derivatives, positions, etc. LKIF Legal Knowledge Interchange Format for the law, SEC rules, forms, submissions, and responses. An RDF/OWL version of the XBRL Bank Call Report (FFIEC 031). Extensions load the Call Report into FIBO and to create XBRL compliant filings. Semantic rules implement laws and regulations of Dodd-Frank and the Investment Adviser Act. An ontology version of SEC form ADV (advisors) loaded with fund data. The ontology evaluates, whether an advisor must register with the SEC. Solvency II reviews the prudential regime for insurance and reinsurance undertakings in the European Union. The ontology defines an RDF/OWL version of the EIOPA XBRL reports/filings.